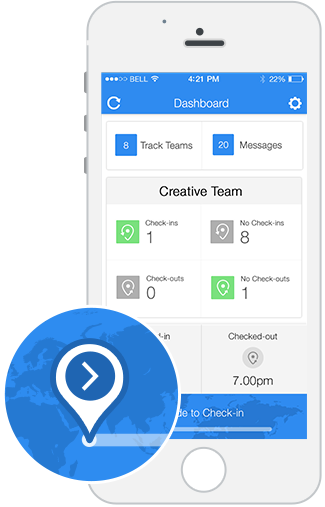 A simple check-in and check-out enables location tracking for the people on the field. Once enabled, it shares location information at regular intervals. Team managers and teammates can locate checked-in people & optimise the field activities and communication accordingly. 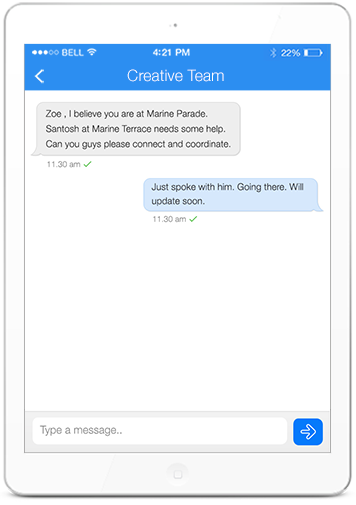 Team chat along with location information is a great way to optimise the time, schedule, work items and overall communication for the mobile workforce. Communicate one-on-one with a team member or broadcast important messages to the whole team in one go. For the smart and mobile workforce it's always important to know where is the need and who is nearby. 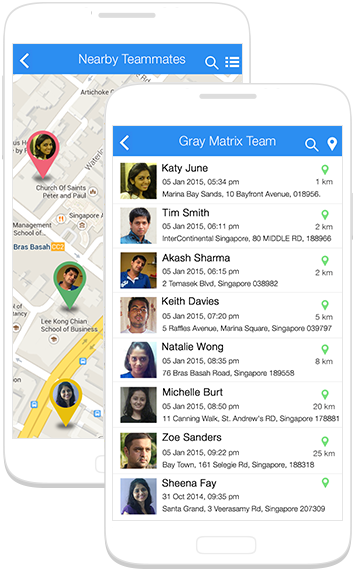 Teammates Nearby gives you a list and map view of team members on the field. It saves you a lot of time from checking with people and instead focus directly on next steps and actions. 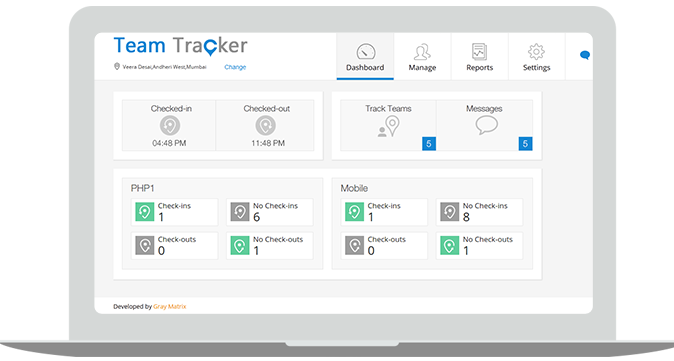 Team Tracker is a Hybrid app, it's available on Web to offer Admins & Team Managers to do more. Do more, on the web with bulk actions, deeper settings and controls, view detailed reports and utilise the big screen for multitasking teams as well. All things available on mobile, plus more. Smart & efficient mobile teams requires smart tracking and communication. 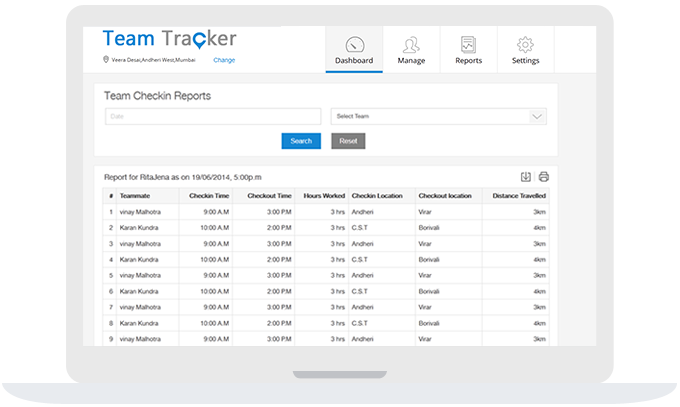 Reporting module provides you with insights on your team's location span and flow through out a period so that you can take important decision on which areas need better attention and how your mobile workforce needs to be deployed.